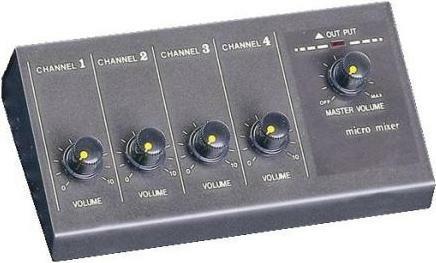 A mono mixer which which accepts 4 microphones. It has individual channel gain controls and an overall master volume control with peak level indicator. It is housed in a sturdy metal case and requires PP3 battery or 9V power supply.